Enabling us to help one another grow as deeply committed followers of Jesus Christ, courageously working to change our world. Rev. Lynn Bartlow is ordained clergy in The United Methodist Church. She is a graduate of Garrett Evangelical Theological Seminary in Evanston, Illinois. 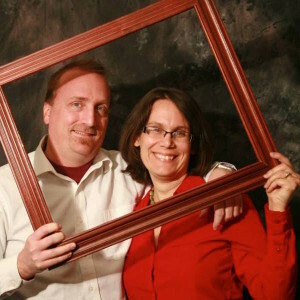 After graduating with her Masters of Divinity in 2000, Lynn continued serving churches in central Illinois for five years before moving to Arizona. Lynn grew up in north-central Florida, and is a graduate of Florida Southern College, which holds the distinction of having the largest single site of Frank Lloyd Wright architecture in the world. In addition to local church leadership, Lynn's experiences in ministry include working as a youth leader in churches in Florida, the production of a television ministry in Chicago, and serving as a hospital chaplain. I am excited to be in ministry here in Flagstaff with you, and look forward to helping people connect with God and one another. Kevin is our Program Director for everything for kids and parents! Kevin works with families and kids birth-5th grade here at Trinity Heights, which means he basically has the greatest job ever – he develops opportunities for kids to learn, grow, and serve in our community! Kevin directs a team of volunteer leaders to host wonderful activities and events for kids, including after-school programs, community service projects, holiday parties, music and choir groups, educational classes, and leadership-development programs. Kevin came from California, but is loving life in Flagstaff! 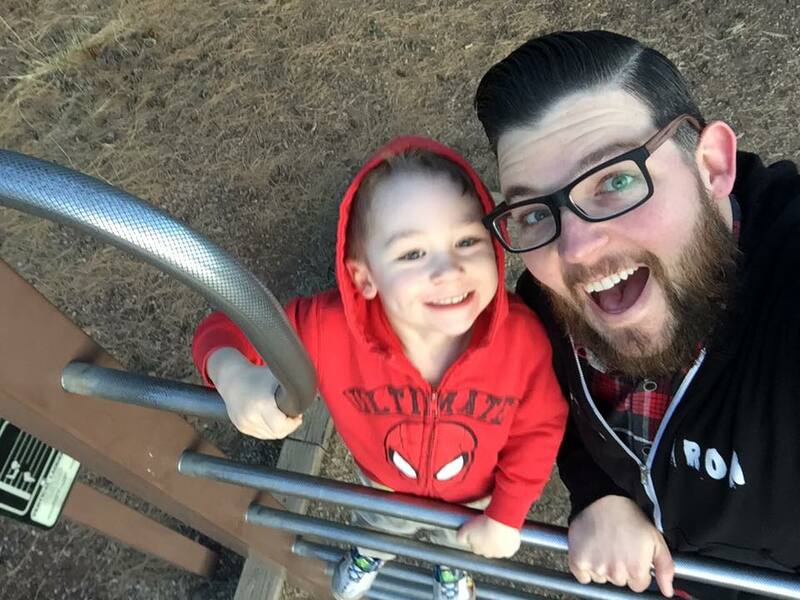 His wife, Sarah, and his son, Soren, are enjoying getting out and exploring the trees and trails in the city. If Buffalo Park had enough electronic outlets, and wifi, he would beg the church to put his office there. He is obsessed with board games and enjoys a good book or podcast as often as he can. But most, he really loves talking, especially about super heroes, movies, and 80s/90s pop culture - just ask him. You’ve been warned. Elisabeth is a "funner" who loves to play. She has belonged to Jesus since a very young age. She grew up in the heat of Phoenix with her parents and two older brothers, and lots of boy cousins... so she loves the cool weather and four seasons of Flagstaff, where she came for college and never left; and the fun of raising girls now! Being a mom has made her braver in her life. Her family mission statement is: Love God. Love People. Choose Joy. Take Courage. God's word tells us 365 times to take courage and have no fear, so she is trying to live into that. She is a mom, daughter, sister, friend, mentor, and mud monkey. She has a heart for the furthest out kids- having worked in child welfare and as a Young Life leader with teen moms. Her Big Hairy Audacious Goal is to live at camp and to care for youth (about ages 16-24) who are transitioning from foster care and homelessness. Camp is one of her favorite things in this world, probably because it is such a wonderful picture of Heaven- the feasting and game playing and worship and people and solitude and adventure and naps and beauty and fun. Elisabeth loves the CHURCH, is a networker and a connector who loves both adventure and naps in the hammock. Her favorite prayer is the Prayer of Jabez and she loves Zephaniah 3:17. Better go look it up so you can talk to her about it!! Elisabeth is psyched about working with the youth of the church. Contact her with suggestions for great youth activities. Andrea is the newest addition to our team, she is yet crafting her introduction paragraph. Lynnette Swain joined our staff in January, 2015, as our treasurer. She oversees financial reports and accounts. 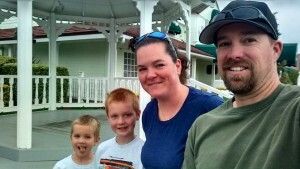 She and her husband, Erin, moved to Flagstaff in 2006 From Southern California. They have two sons, Alex & Shawn. Alex is at Sinagua Middle school, Shawn is at Cromer elementary. Erin is an engineer for BNSF (Burlington Northern Santa Fe). When not working, Lynnette enjoys great music ( Bon Jovi), camping, her pug, and spending time with friends. Mary-Margaret Johnson is the Director of the Ark Early Childhood Learning Center, and is the "veteran" member of our church staff, having been on staff at the Ark for over a decade! Mary Margaret was born and raised in Flagstaff. She lived in Greeley, Colorado for 15 years where she married her husband Vince. They have been blessed with three awesome children. Vince and Mary Margaret are “empty-nesters” as their youngest child moved out two years ago and is attending college at Grand Canyon University. She has one grandchild who is able to spend every day with her at the ARK. Mary Margaret began her employment at Trinity Heights and the ARK in August of 2001. She worked in the two year old room, moved to the preschool room, became the assistant director and ultimately became the director in January 2004. During her time as director, she has helped the ARK grow from a three room facility and approximately 40 children to the present 7 room facility that serves over 100 children (approximately 95 families). She feels blessed to be part of a wonderful, Christian facility. When Mary Margaret lived in Colorado, she was able to stay home and raise her own children. Her passion for the childcare center stems from the fact that she wanted to create a safe, loving, nurturing and spiritual environment for those parents who aren’t able to stay home with their children. It is a true blessing to watch the children grow, not only from the love and dedication of the staff, but also with the love of God. Mary Margaret worships at the catholic church here in town, however, she has a love for Trinity Heights and is proud to call this her “other” church home. Joe DuBois is our primary church custodian, and he receives help from Vince, Tyler, Blake, and others as needed. Hey there -- I’m Joseph Dubois and I am the church custodian, set-up specialist and facility manager. I have been employed here for four years. I love being able to work here and serve the Lord and his people. 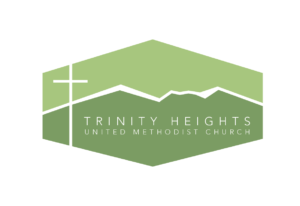 I also am a church member at Trinity Heights. My wife Nicole and son Christian (10 going to be 11 soon) and I found our faith here and it has been growing for five years through the support of Bible studies and the Arizona Walk to Emmaus. We have found Trinity Heights to be an amazing church and we even volunteered with the Upward Basketball program where I serve as a coach for the last 3 seasons we hosted Upward at THUMC. When I’m not here at church I enjoy going to the park with my wife and son playing football, basketball, soccer, and also hockey. I love to fish, hike, and camp. During my free time I serve some of our very awesome ladies here at Trinity Heights helping with yard work such as pine needles, mowing, cleaning out gutters and shoveling snow. Linda Stamer is our volunteer Celebration Choir director, and also helps to arrange and coordinate other music ministries with our Worship Design Team. Linda has been active at Trinity Heights United Methodist Church since fall of 2006. In addition to being music leader at numerous Vacation Bible Schools and Summer Sunday School, Linda started the Joyful Noise Children’s Choir. As of January 2014, she has been the Director of the Celebration Choir. The members of the choir love singing under Linda’s direction and invite you to come and join in on the fun and this tight knit community. 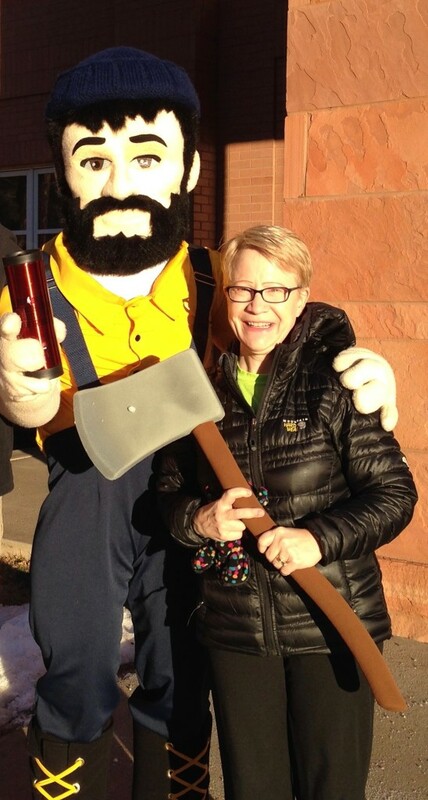 During the week Linda can be found in the music department at Northern Arizona University mentoring the next generation of music educators. Interested in a possible position at THUMC? Available job openings are listed on this page.